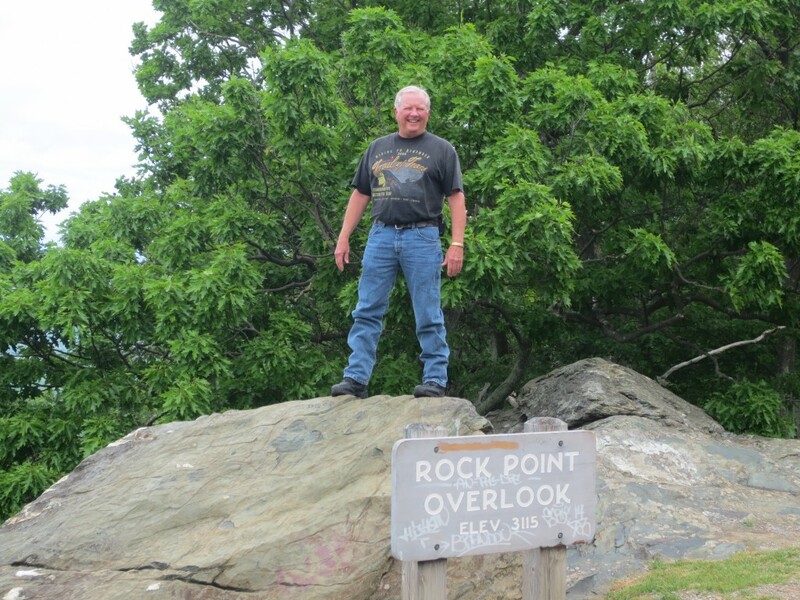 Today is the 4th leg of our Blue Ridge Parkway motorcycle ride. 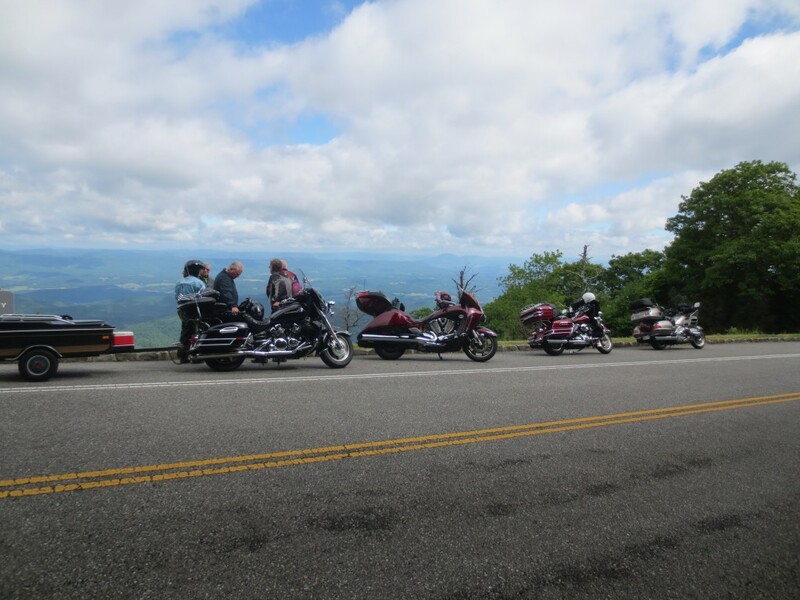 We are riding from Roanoke, VA to the end of the Parkway at Waynesborro, VA. Just 121 miles along the scenic Parkway before getting on I-81 and heading back to Larry and Jo’s in Bryant, AL. We aren’t sure how far we will get today. We are winging it today. We have changed our plans and cutting our ride by one day due to severe weather forecast along our original route. 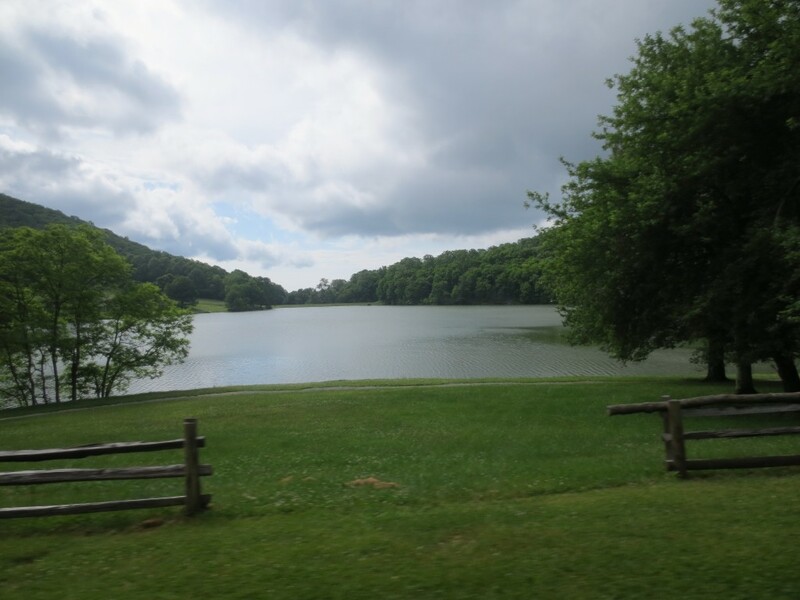 Today is overcast with rain threatening all along our route to Waynesborro. We were in and out of our rain gear all day but we managed to avoid the rain except for a little mist and sprinkles. 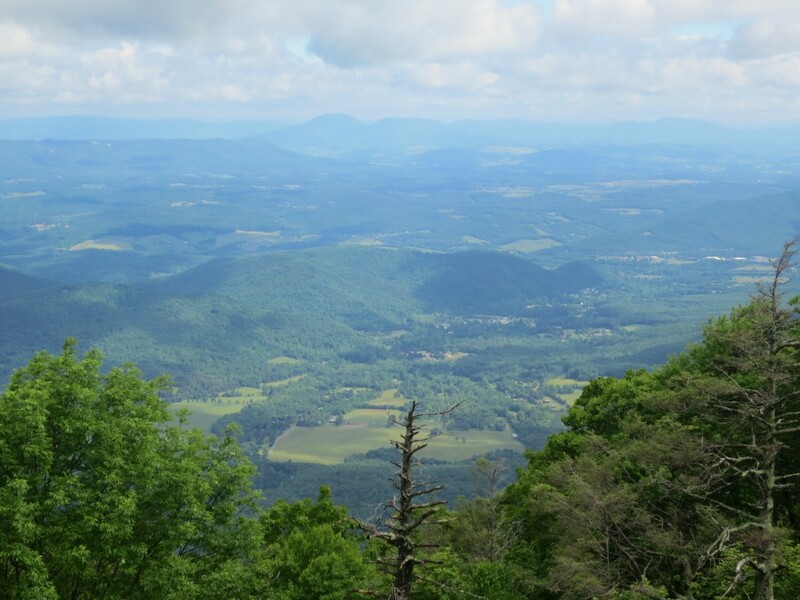 The sun did manage to peek through the clouds from time to time to highlight the valleys below the Parkway. 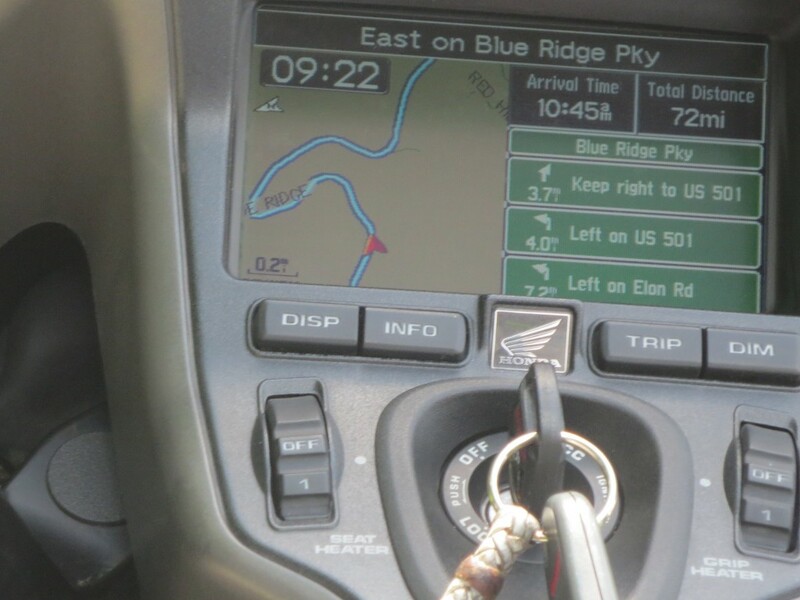 Graphic on the GPS of the twists and turns on the Blue Ridge Parkway as we ride…. For those of you who haven’t been following along on our ride, you may be asking why we are here. 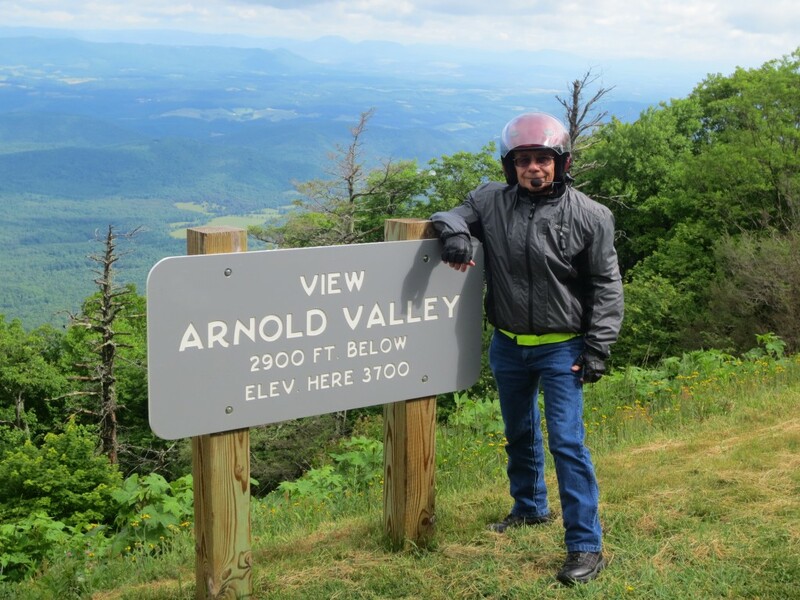 As I said in a earlier post, the parkway’s sweeping curves and awesome vistas are a few reasons why motorcyclist ride the Blue Ridge Parkway each year. 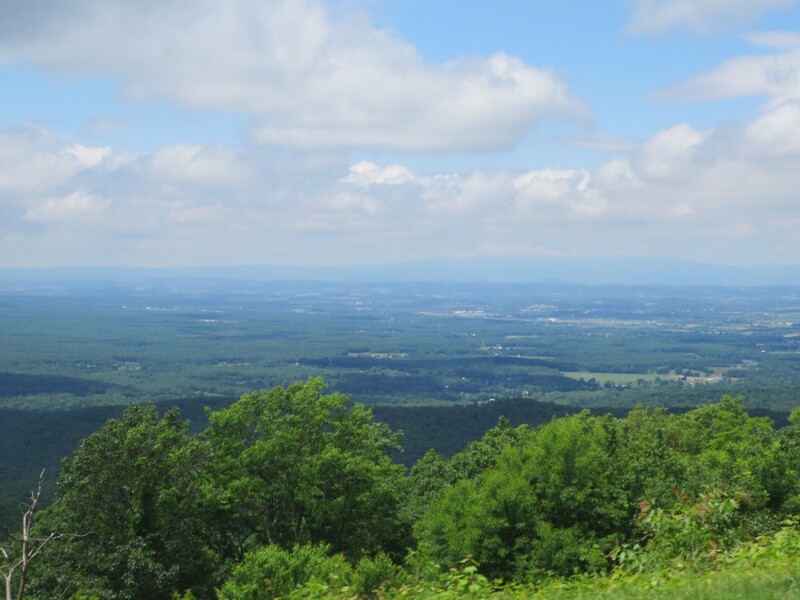 The Parkway’s reputation is one of the best roads in the U. S. Drivers and riders are lured to the Parkway by the scenic overlooks, picnic sites, camping and lodging opportunities and the nearby attractions and accommodations. 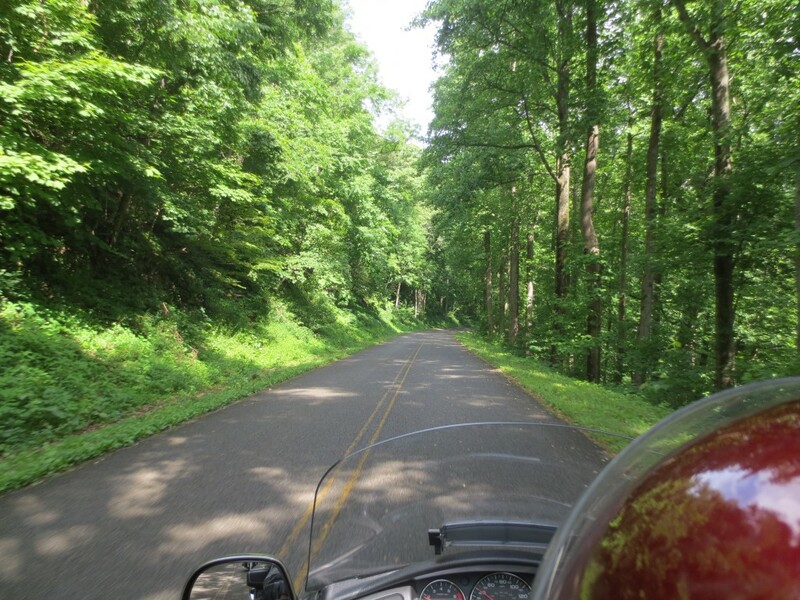 If you are considering a motorcycle ride along the Parkway, you must be aware of safety and laws. Riders are required to wear a helmet. 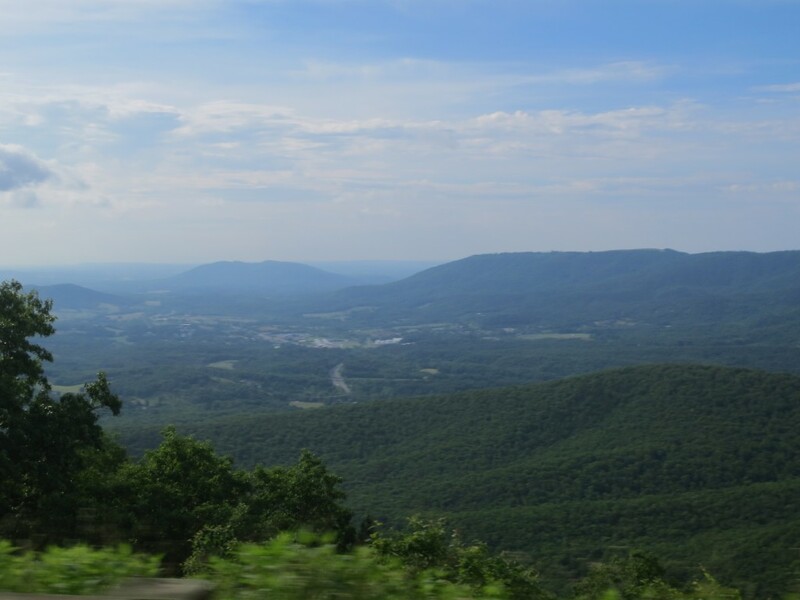 The maximum speed limit along the Parkway is 45 miles per hour and in places as slow as 25 miles per hour. Riders should lookout for deer and other animals and loose gravel. We had a great time on our ride. 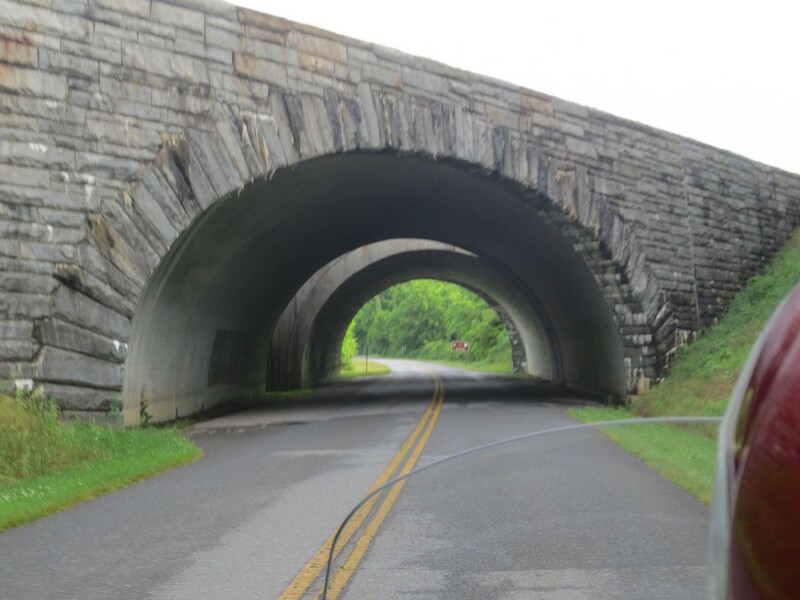 You may want to check out the other days of our ride by clicking on the links below.